When you record a favourite point on map by clicking. 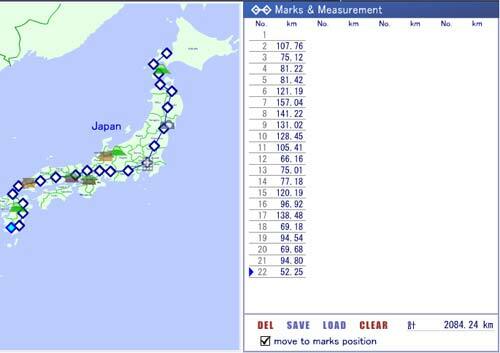 Displayed marks on map,and distance between point and point. When you click the list, It becomes a present place that becomes the object of the deletion and the base point of the addition. The marks becomes center of map. Reload a course data which saved before. If remove a check mark, It don't move the map when select a marks.